Celebrate true heroes and heroines with one of the hottest designs in our "Big Dreamzzz" collection. 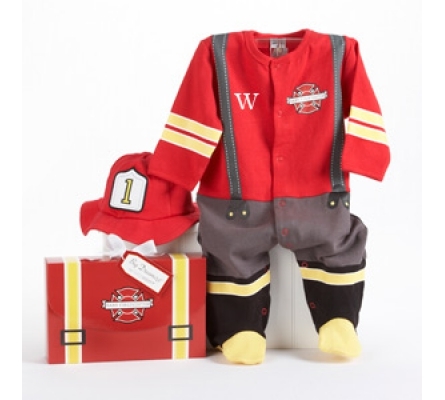 We inspire those big dreams with our Baby Firefighter layette set! 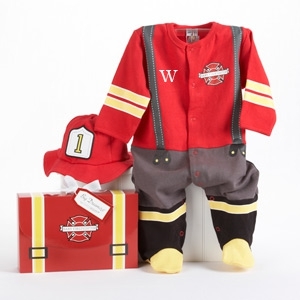 Sporting "suspenders, "boots" and an absolutely adorable hat, this outfit will be a five-alarm favorite down at the fire station!